We have all heard of the Internet of Things (IoT). IoT applies to physical objects that we use, such as computers, cars, mobile phones and other everyday devices. 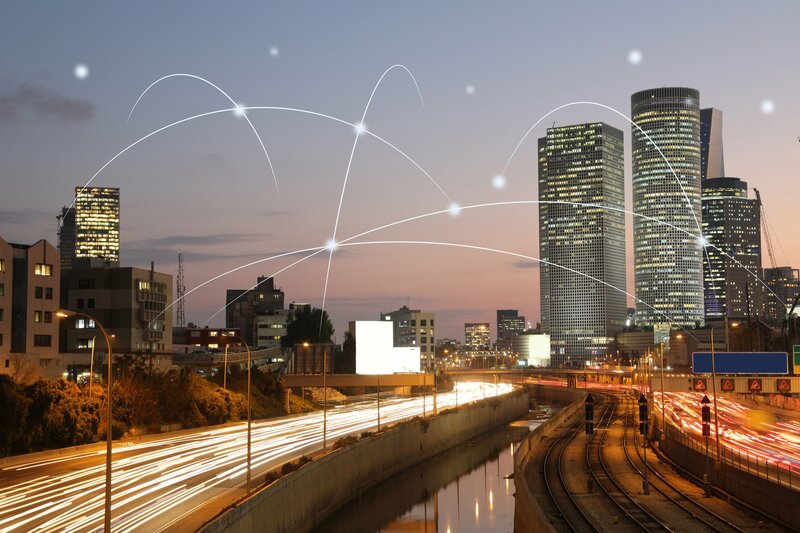 A white paper from Cisco predicts that by 2020, the number of internet-connected devices will reach a staggering 50 billion globally. A newer trend being coined by Cisco is the “Internet of Everything” or IoE. The IoE extends the definition of IoT and includes people, processes, data and things, which is pretty much everything. IoE includes a level of hyper-connectedness for anything and everything that connects to the internet, such as applications, data and Application Program Interfaces (API). First National Technology Solutions (FNTS) already is helping businesses manage and integrate all connections that IoE currently includes. Whether you’ve used it for work or personal use, chances are you have stored data in the cloud. The average company uses about 1,427 cloud-based services, according to Skyhigh Networks. Electronics with an internet connection can send volumes and different varieties of data to the cloud. Making sure that data is protected as it is sent to the cloud is the focus of a newer concept coined by Cisco as fog computing—also known as edge computing. The fog is an extension of the cloud that provides security to real-time data produced in the Internet of Things (IoT) devices, including routers, mobile devices, IP video cameras, switches, controllers, servers, surveillance cams, computer chips and set top boxes. First National Technology Solutions (FNTS) specializes in the best of breed cloud technology and data center services and has the ability to support fog solutions. FNTS partners with respected companies like Cisco, EMC and IBM, which currently offer tools to facilitate fog computing. The fog, which consumes less time and bandwidth than the cloud, monitors and analyzes data close to where it was generated and then determines if the data should stay in the fog or be transmitted to the cloud or other centralized locations. The fog analyzes data faster than the cloud, which speeds up business processes and response times. Fog computing is most prevalent in environments where a lot of processing power is required. It is a faster alternative to carrying the traffic across a core network. For example, on a second by second basis, you may be polling tens of millions of IoT devices—the fog is the ideal solution for workloads that require raw processing power. The data is processed on the edge of the network with a number of fast devices, while other data and business intelligence applications move on to the cloud. 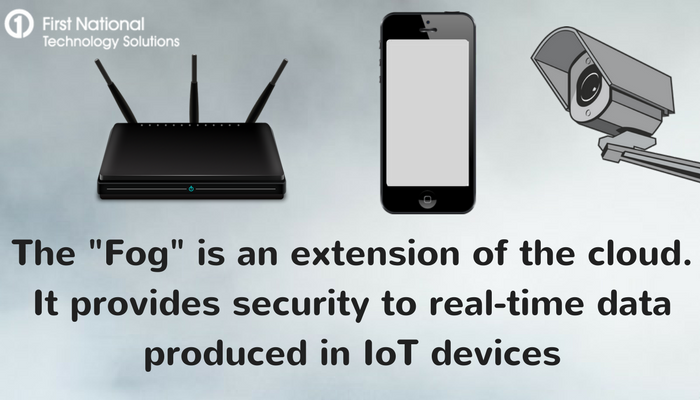 The edge devices handle the majority of the day-to-day interaction with IoT devices without adding needless congestion to the network core. The fog is being used in several industries as way to increase security and make services more efficient. Fog computing allows companies to monitor their equipment in real-time so they can detect issues instantly and perform maintenance. The fog also allows companies to initiate actions faster, whether it’s locking a door, turning on lights or sounding an alarm. The data is processed at the source so it isn’t sent back and forth to a data center. Data that is time sensitive can be sent to the fog in real-time so it can be controlled and action can be initiated within a millisecond. Data that isn’t time sensitive can be sent to the cloud, which analyzes and stores the data long- term. According to Cisco, by 2020, an estimated 50 billion “things” will be connected to the internet. Massive quantities of big data from that amount of devices would require vast amounts of bandwidth to move to the cloud where it is stored. The fog provides benefits to businesses because employees can work more quickly while also keeping their data secure before, during and after it migrates to the cloud. 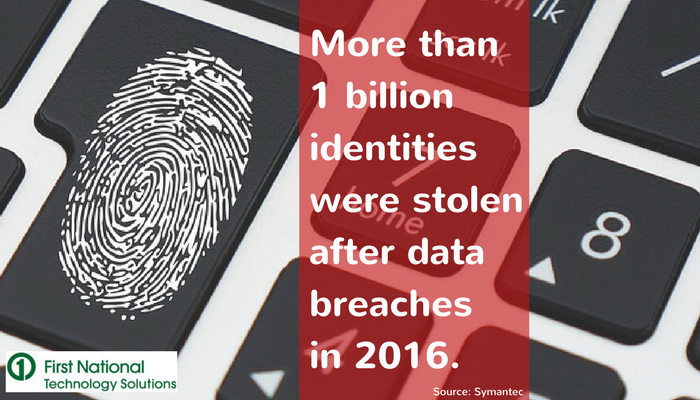 The less distance that data has to travel, the more secure it is. The fog also has cost benefits. Using it conserves less bandwidth which also can free up the network for other uses and prevent failures and delays since there is less data movement in the network. As managers and IT teams work to make their business operations more efficient, they’ll leverage the fog and its benefits. The fog is the future of cloud computing, and there are opportunities to grow and expand fog solutions at FNTS. I recently finished reading the book Unbroken by Laura Hillenbrand (Hillenbrand, 2010) about the life of an American POW during World War II, Louis Zamperini. It is an amazing read and I recommend all to pick it up. It is a beautiful story of life, determination and forgiveness. If you don’t read, please go see the movie. I need to lose weight. It’s important from a health perspective and I have a new-born daughter that deserves to have a father in her life long-term. To that end, I purchased a Fit-Bit Flex. During the day, it tracks steps, distance, and calories burned. At night, it tracks your sleep quality and wakes you silently in the morning. Pretty amazing stuff. It wirelessly transfers my information to my laptop and tracks my fitness goals.